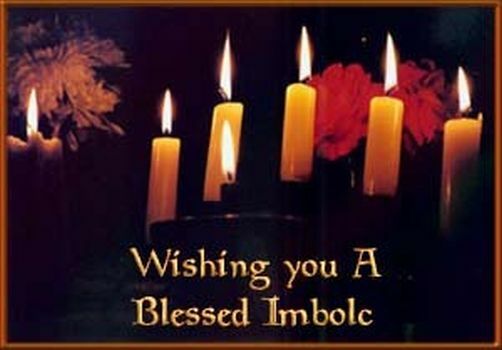 This year Imbolc (usually pronounced EE-Molc) is on Monday February 2nd. By February, most of us are tired of the cold, snowy season. Imbolc reminds us that spring is coming soon, and that we only have a few more weeks of winter to go. (It’s also Ground Hog Day) The sun gets a little brighter, the earth gets a little warmer, and we know that life is quickening within the soil. This is the seasonal change where the first signs of spring and the return of the sun are noted. It is the day that we celebrate the passing of winter and make way for spring. This is a time of purification after the shut-in life of winter, through the renewing power of the Sun. It is also a festival of light and of fertility, once marked in Europe with huge blazes, torches and fire in every form. Fire here represents our own illumination and inspiration as much as light and warmth. 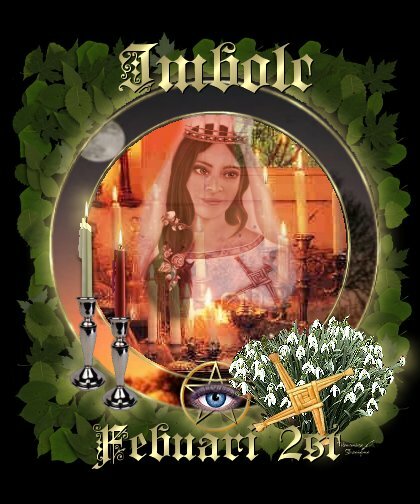 Imbolc is also known as Feast of Torches, Oimelc, Lupercalia, Feast of Pan, Snowdrop Festival, Feast of the Waxing Light, Brighid’s Day, and probably by many other names. To the Romans, this time of year halfway between the Winter Solstice and the Spring Equinox was the season of the Lupercalia. For them, it was a purification ritual held on February 15, in which a goat was sacrificed and a scourge made of its hide. Thong-clad men ran through the city, whacking people with bits of goat hide. Those who were struck considered themselves quite fortunate. This is one of the few Roman celebrations not associated with a particular temple or deity. Instead, it focuses on the founding of the city of Rome, by twins Romulus and Remus, who were suckled by a she-wolf — in a cave known as the “Lupercale”. When Ireland converted to Christianity, it was hard to convince people to get rid of their old gods, so the church allowed them to worship the goddess Brighid (usually pronounced BREED) as a saint — thus the creation of St. Brigid’s Day. Today, there are many churches around the world which bear her name. The Irish goddess Brighid is the keeper of the sacred flame, the guardian of home and hearth. To honor her, purification and cleaning are a wonderful way to get ready for the coming of spring. In addition to fire, she is a goddess connected to inspiration and creativity. In some parts of the Scottish Highlands, Brighid was viewed as a woman with mystical powers who was older than the land itself. The Christian St. Brigid was the daughter of a Pictish slave who was baptized by St. Patrick, and founded a community of nuns at Kildare, Ireland. Some traditions suggest that Brighid walks the earth on the eve of her day visiting households and blessing the virtuous. Families would have a supper on this night to mark the end of winter. Often, some of the food and drink would be set aside for Brighid. Before going to bed, items of clothing or strips of cloth would be left outside for Brighid to bless. Ashes from the fire would be raked smooth and, in the morning, they would look for some kind of mark on the ashes as a sign that Brighid had visited. The clothes or strips of cloth would be brought inside, and were now believed to have powers of healing and protection thanks to Brighid. Brighid’s crosses were made at Imbolc. 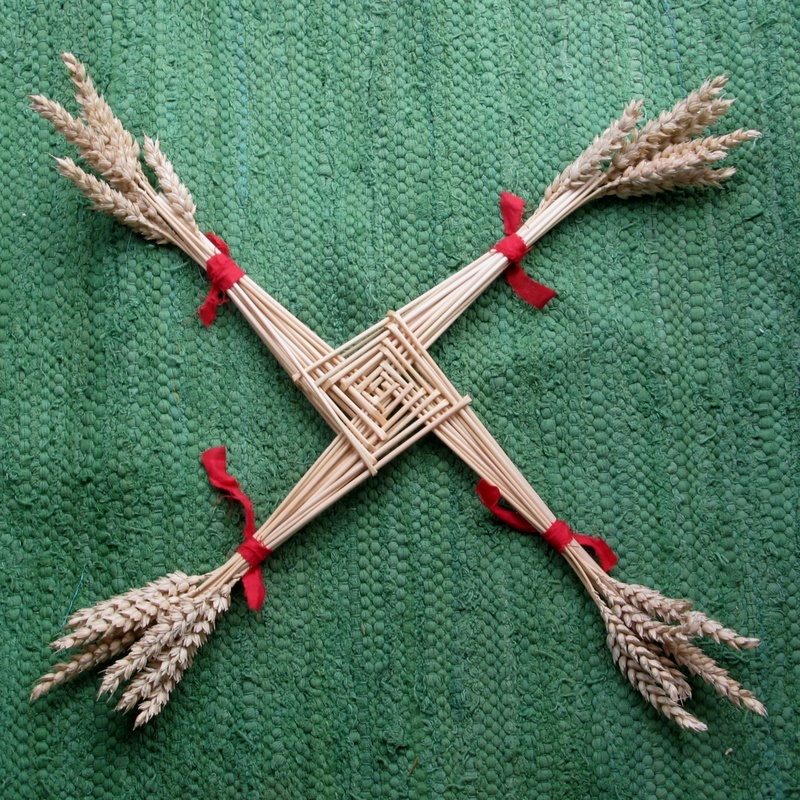 A Brighid’s cross consists of rushes woven into a shape of a cross, with a square in the middle and four arms protruding from each corner. They were often hung over doors, windows and stables to welcome Brighid and protect the buildings from fire and lightning. The crosses were generally left there until the next Imbolc. In western Connacht, people would make a Crios Bríde (Bríd’s girdle); a great ring of rushes with a cross woven in the middle. Young boys would carry it around the village, inviting people to step through it and so be blessed. Imbolc also tends to be a time when people turn their thoughts to love. February is known as a month when love begins anew, in part due to the widespread celebration of Valentine’s Day. In some parts of Europe, there was a belief that February 14th was the day that birds and animals began their annual hunt for a mate. Valentine’s Day is named for the Christian priest who defied Emperor Claudius II’s edict banning young soldiers from marrying. In secret, Valentine “tied the knot” for many young couples. Eventually, he was captured and executed on Feb. 14, 269 C.E. Before his death, he smuggled a message to a girl he had befriended while imprisoned — the first Valentine’s Day card. At this time of year, it is appropriate to light multiple candles to remind us of the passing of winter and the entrance into spring, the time of the Sun. 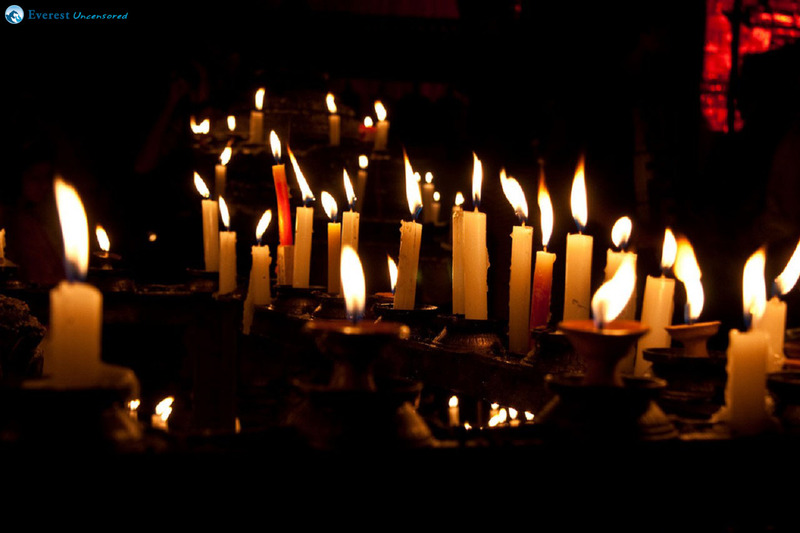 It is traditional upon Imbolc to light every lamp in the house – if only for a few moments. Or, light candles in each room in honour of the Sun’s rebirth. Alternately, light a kerosene lamp with a red chimney and place this in a prominent part of the home or in a window. If snow lies on the ground outside, walk in it for a moment, recalling the warmth of summer. With your hand, trace an image of the Sun on the snow. Foods appropriate to eat on this day include those from the dairy, since Imbolc marks the festival of calving. Sour cream dishes are fine. Spicy and full-bodied foods in honor of the Sun are equally attuned. Curries and all dishes made with peppers, onions, leeks, shallots, garlic or chives are appropriate. Spiced wines and dishes containing raisins – all foods symbolic of the Sun – are also traditional. I’ll leave you with an Imbolc blessing. Carry this light in your heart. And Know that you are worthy of that love.